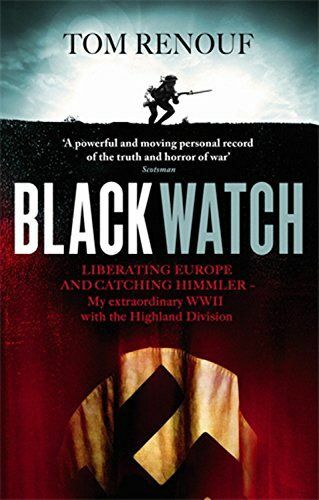 As a 19-year old Black Watch conscript Tom Renouf's war began with some of the most vicious fighting of the conflict - against Himmler's fanatical 'Hitler Youth' SS Division. It ended with the capture of Himmler himself and Tom taking a trophy he still treasures - the Gestapo commander's watch. Seriously wounded and later decorated with a Military Medal for gallantry, Tom Renouf witnessed the death and maiming of countless of his teenage comrades and saw the survivors transformed into grizzled veterans. Tom Renouf draws on his own personal experiences - as well as his unique archive of interviews with veterans amassed over twenty years as secretary of the 51st Highland Division Veterans' Association - to paint a vivid picture of the Battle of Normandy, the liberation of Holland, the Battle of the Bulge and many more memorable WW2 events.